The origin of churros is unclear. One theory suggests they were brought to Europe from China by the Portuguese. The Portuguese sailed for the Orient and, as they returned from Ming Dynasty China to Portugal, they brought along with them new culinary techniques, including altering dough for youtiao, also known as Youzagwei in southern China, for Portugal. The new pastry soon crossed the border into Spain, where it was modified to have the dough extruded through a star-shaped die rather than pulled. 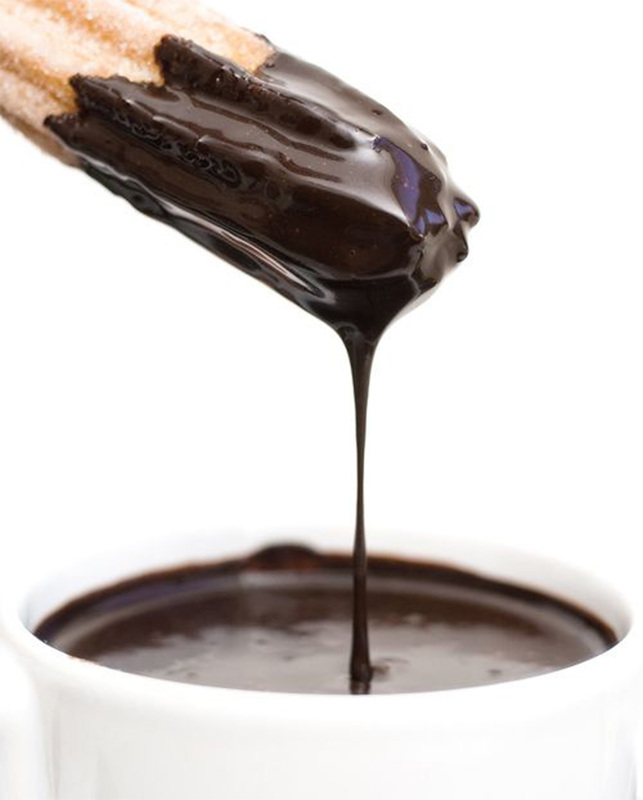 In Seville (Andalusia), the name “calientes” or “calentitos de rueda” is sometimes used instead of the word churro. These tend to refer to the thicker variant, called porrain northern Spain, the Basque Country and other regions. Calientes are usually fried in the shape of a continuous spiral and cut into portions afterwards. The center of the spiral is thicker and softer, and for many a delicacy in itself. 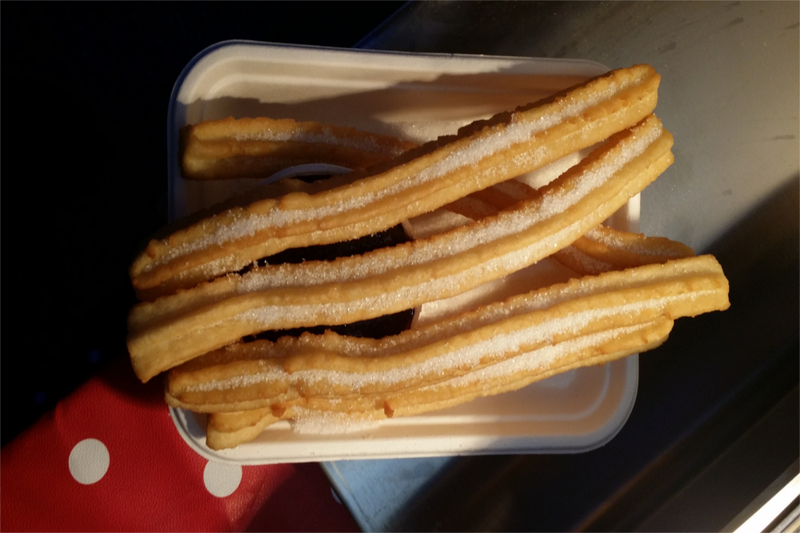 The standard “churro” is also sold under the name “calentitos de papas”, the name referring to the softer mashed potato–like texture. 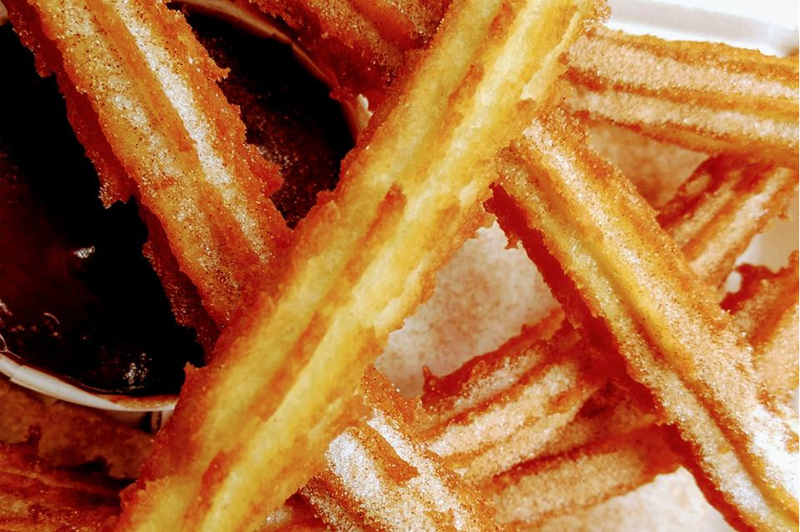 In parts of Eastern Andalusia, a much thinner dough is used, which does not allow for the typical ridges to be formed on the surface of the churro. The final result therefore has a smooth surface, and is more pliable and of a slightly thinner diameter than standard Spanish churros. Another difference is that sugar is never sprinkled on them, because the flavour is not considered suitable.